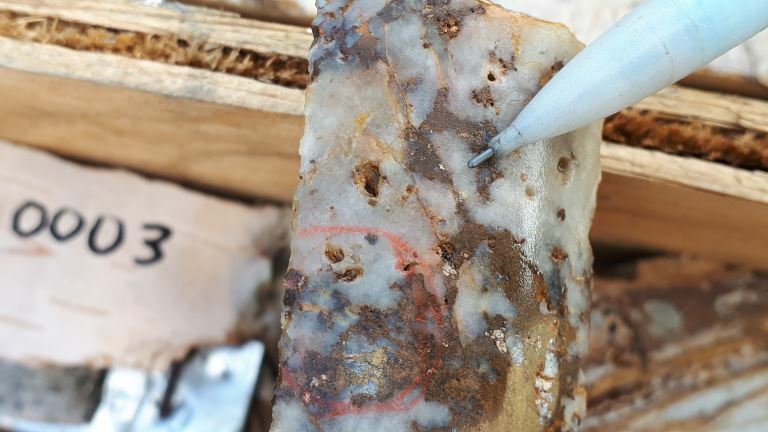 White Gold Corp. [TSX.V: WGO, OTC – Nasdaq Intl: WHGOF, FRA: 29W] (the “Company”) is pleased to announce it has commenced its $13 million fully funded 2019 exploration program on its extensive 439,000 hectare land package, representing over 40% of the prolific White Gold District in Yukon, Canada. A total of 17,000m of diamond drilling and 7,500m of Reverse Circulation (“RC”) drilling is expected this season as part of the Company’s systematic data driven exploration plan backed by partners Agnico Eagle Mines Limited (TSX: AEM, NYSE: AEM) and Kinross Gold Corp (TSX: K, NYSE: KGC). Exploration activity has commenced on the JP Ross property focusing on expanding the footprint of the recent Vertigo discovery and other newly identified high priority targets along the 14km Vertigo Trend.